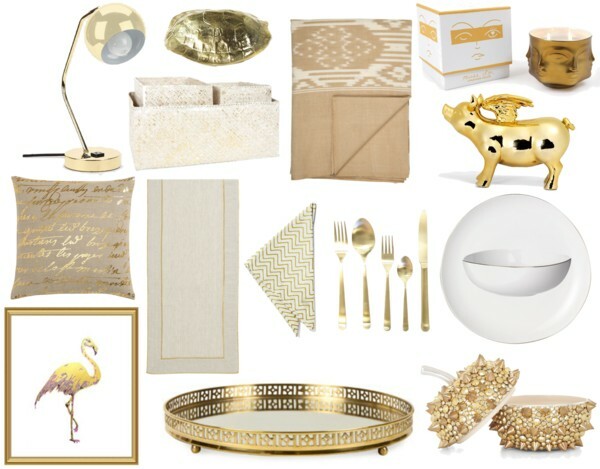 I have long been a fan of metallic accents in the home but as of late I am more and more attracted to everything gold. Whether it's an item for entertaining or everyday decor to pretty up a shelf or coffee table there are so many fabulous gold items available for decorating your space. A few of my favorite gilded items are listed below. The best part, they are all under $100! i love gold! i am thinking i need gold flatware and a lamp for my next place!